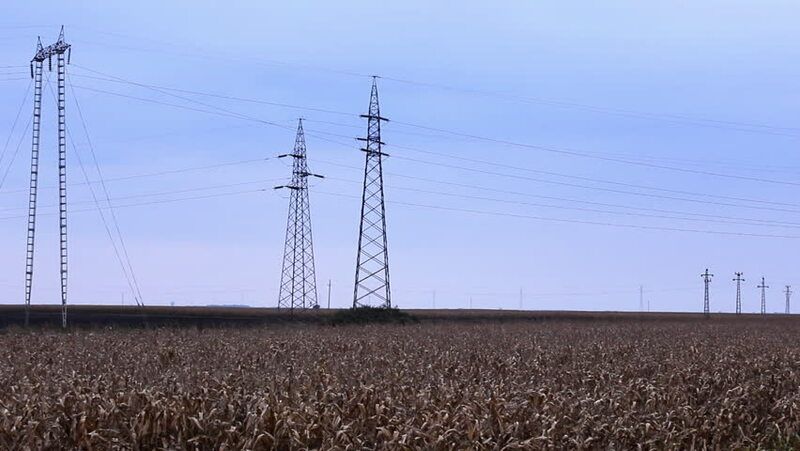 hd00:08plowed field with power poles. sunny day. field tractor plowed after harvesting corn. preparing the field for the winter.